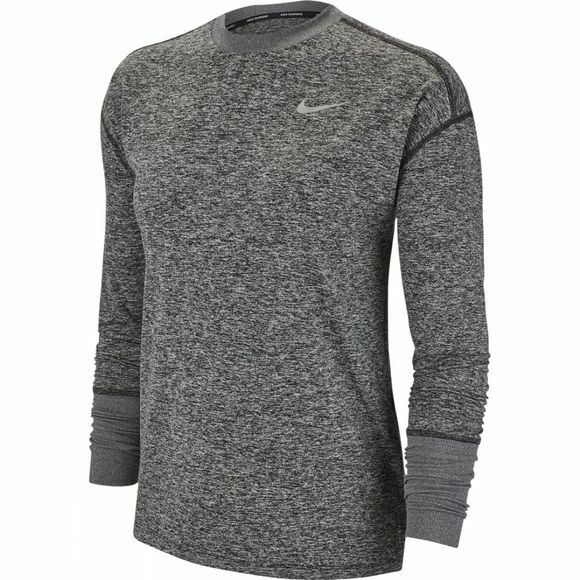 The Nike Top delivers a long-sleeve design with sweat-wicking comfort. 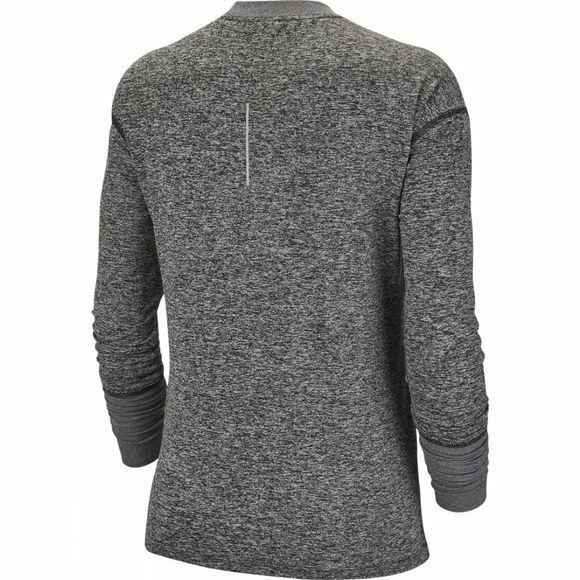 Thumbholes add warmth for brisk routes, while the dropped-shoulder design lets you move freely in flattering coverage. Nike Dri-FIT fabric helps you stay dry, comfortable and focused. Straight hem falls at the hips for comfortable coverage. Fabric: Body: 88% polyester/12% elastane. Rib: 89% polyester/11% elastane.